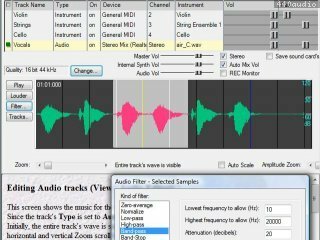 Anvil Studio is a free Windows program for multi-track recording, composing, and editing of audio and MIDI music files. Native audio effects include delay, reverb, EQ, volume change, filtering. Automation, DirectX Audio pluggins and SoundFonts are supported. 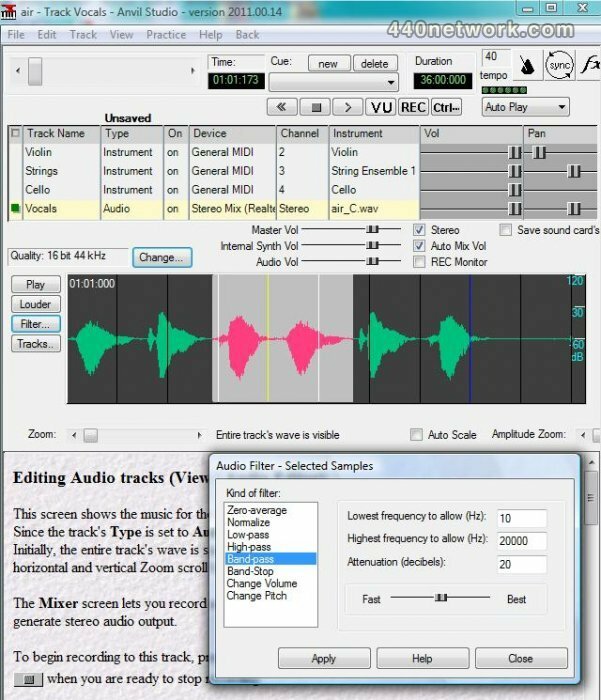 Anvil Studio is designed to work with several optional accessories that increase functionality and performance including Sheet Music printing, piano exercises, ear training exercises, VST, VST-Instrument effects and ASIO devices.